12 SETTINGS INCLUDING GLUTEN-FREE. 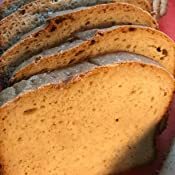 Developed with nutrition in mind, settings include: French, Quick Bread (no yeast), Sweet, 1.5-lb Express, 2-lb Express, Dough, Jam, Cake, Whole Grain and Bake. Audible reminder for adding fruits and nuts. CHOOSE 1.5LB or 2LB LOAF AND CRUST SETTINGS. Select your loaf size and choose from light, medium or dark crust setting. GREAT FOR DOUGH PREP: In addition to bread, you can make pizza dough, cakes, jams, flatbreads and croissants. NON-STICK, DISHWASHER-SAFE PAN & 2 KNEADING PADDLES. Interior pan removes for easy cleaning in the dishwasher. Two kneading paddles let you use one while the other is in the dishwasher. 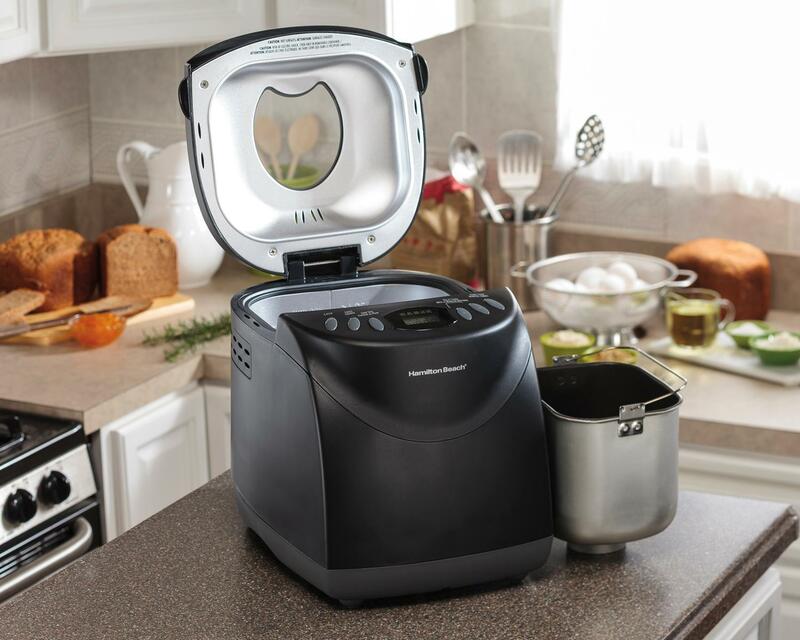 View the User Manual to see set-up, operating tips and recipes for Hamilton Beach Breadmaker. 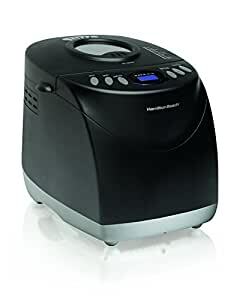 White, wheat, sourdough, country, French or even homemade jam — the HomeBaker Bread Machine from Hamilton Beach will do it all. Making artesian breads at home has never been easier or more foolproof. 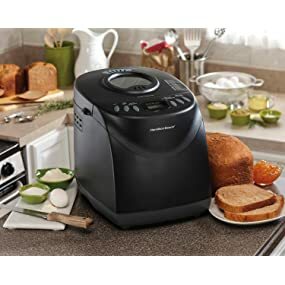 Whatever your taste preferences or dietary needs, you can satisfy them with the Hamilton Beach HomeBaker Bread Machine. Developed with nutrition in mind, it features settings such as gluten-free and whole-grain so you can bake wholesome breads using a variety of flours. In addition to bread, you can make pizza dough, cakes, jams, flatbreads and croissants. 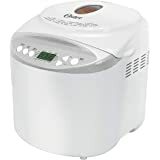 The Home Baker Bread Machine is easy to use. Carefully designed to make bread-making simpler than ever, the machine includes a detailed manual with easy-to-follow instructional drawings, custom recipes, and baking tips. 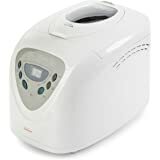 With the HomeBaker Bread Machine, preparing a variety of breads is as easy as one, two, three: just add ingredients, select the cycle, and press start. After you make the first delicious batch, it won’t be long before family and friends are asking for more. 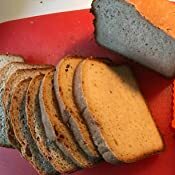 Makes homemade bread without preservatives or trans fats including Gluten Free Bread. 12 settings include: French, gluten-free, quick bread, sweet, 1.5-lb express, 2-lb express, dough, jam, cake, whole grain and bake. Light, medium or dark crust settings. Perfect for dough prep for rolls and pizza. Delay timer lets you add ingredients and begin the baking process later. Non-stick pan for easy cleanup in the dishwasher. Audible reminder for fruits and nuts. Includes an extra kneading paddle so you can make a loaf while the other paddle is in the dishwasher. Includes whole-grain and gluten-free recipes courtesy of Bob’s Red Mill Natural Foods. 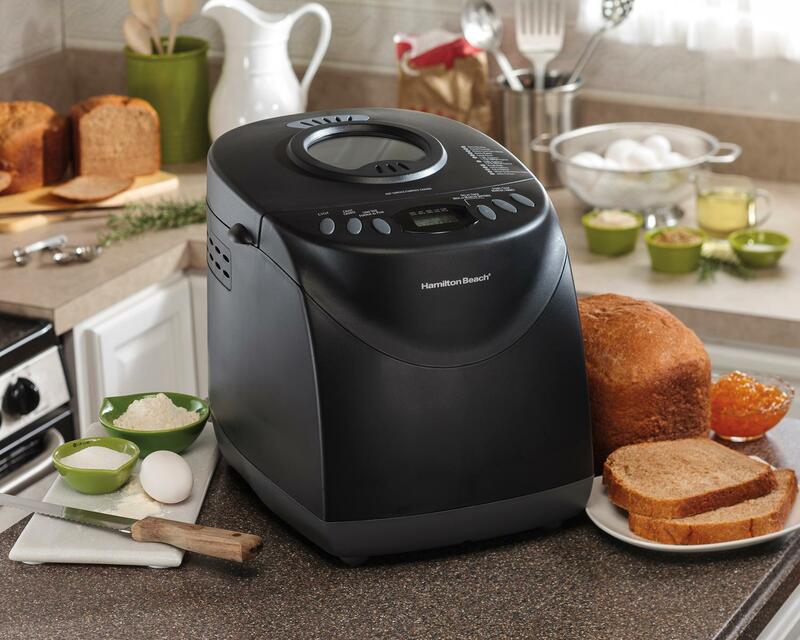 Get the Hamilton Beach Breadmaker to make fresh, soft and fluffy bread at home. Preparing a variety of breads is simple: just add ingredients, select the cycle, and press start. After you make the first delicious batch, it won’t be long before family and friends are asking for more. 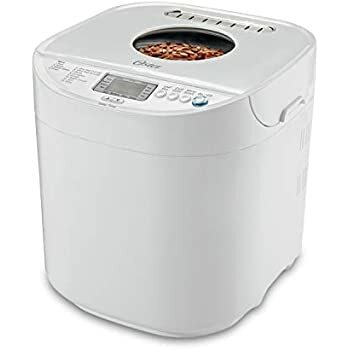 This 2lb bread machine comes with 12 settings to make bread using different ingredients and recipes. These settings include French, gluten-free, quick bread, sweet, 1.5-lb express, 2-lb express, dough, jam, cake, whole grain and bake. There are settings for light, medium or dark crust according to your taste. 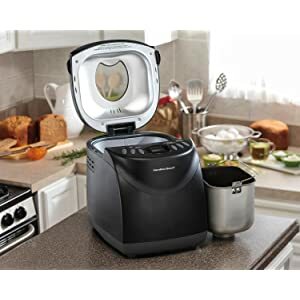 This low maintenance home breadmaker includes a dishwasher safe bread pan and 2 kneading paddles, as well as a recipe booklet with Bob's Mill custom gluten-free recipes for your reference. 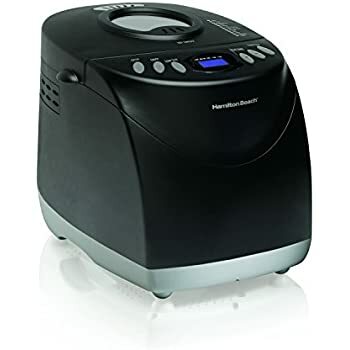 Whatever your taste preferences or dietary needs, you can satisfy them with Hamilton Beach Bread Machines. For white and mixed breads consisting mainly of basic bread flour. For light breads made from fine flour. Normally, the bread is fluffy and has a crispy crust. This is not a suitable setting for recipes requiring butter, margarine, or milk. For gluten-free breads and mixes. For quick-bread recipes that do not use yeast for rising and instead may use baking powder or soda. Kneading, rising, and baking loaf within a time less than for basic bread. For breads with additives such as fruit juices, grated coconut, raisins, dry fruits, chocolate, or added sugar. Due to a longer phase of rising, the bread will be light and airy. Kneading, rising, and baking a 1.5-pound loaf occurs in 58 minutes using a quick-rising yeast. Loaf will be smaller and rougher than that made with the Basic cycle. Same as 1.5-pound Express, but yields a 2-pound loaf. This cycle prepares the yeast dough for buns, pizza crust, etc., to be baked in a conventional oven. There is no baking in this cycle. For making jams with fresh fruit. 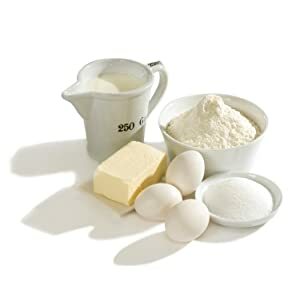 Kneading, rising, and baking occurs, but with the aid of soda or baking powder. 29882 Features: -3 Easy steps: Add ingredients, select cycle, start. 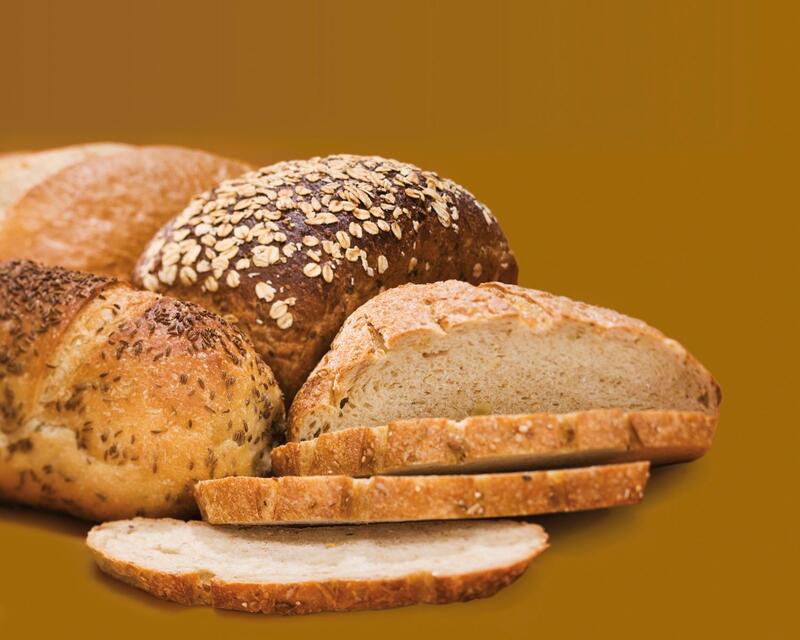 -Prepare healthy whole-grain bread - control the nutritional content of your bread. -Homemade bread without preservatives or trans fat. 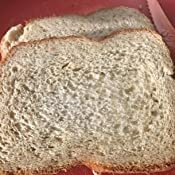 -Recipes included: Gluten-free to French bread. -12 Cycles including jam and cake. 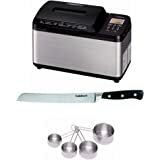 -Great for dough prep. Dimensions: Overall Height - Top to Bottom: -12.2". Overall Width - Side to Side: -10.43". Overall Depth - Front to Back: -14.13". Overall Product Weight: -11.9 lbs. 5.0 out of 5 starsA product that lives up to expectations and promises. . .
1) I have been baking bread for about 70 years. . learned from my grandfather who was professional baker, both in the Tsarist Russia of the pre-World War I days; and, in the US after he emigrated in 1910. . .
2) I have also had a bread machine for over 30 years. . .
For those who want a "quiet" machine. . .They will not be disappointed. For those who want "quick; easy; and convenient" you will also be happy. Best of all, your bread will be tasty and satisfying. And, for those you who want a product that lives up to expectations and promises of the manufacturer, you will also be satisfied! 5.0 out of 5 starsWorks awesome on Gluten Free bread! This is the appliance I never knew I needed! I saw it on an amazon warehouse deal and thought, what the heck lets try one. I am blown away. I have been baking most of my husband's bread for several years. He has celiacs disease and must have a gluten free diet. This bread maker has a gluten free setting which works awesome. I've made loaf after loaf and they've all come out great! And it's so easy. I just have to dump my ingredients in and walk away. It's never been so easy. And Ive discovered it does other things I had no idea a bread maker could do! I have made several batches of jam in it and they all come out great. This poor machine has run for days straight now making one thing after another as I tested it out. I wasn't sure I was going to keep it at first because I didn't think I needed another appliance- I tried it on a whim. I'm so glad I did- it has really made my life much easier! 5.0 out of 5 starsFirst time making bread, and I can't believe how nice it turned out with this machine! 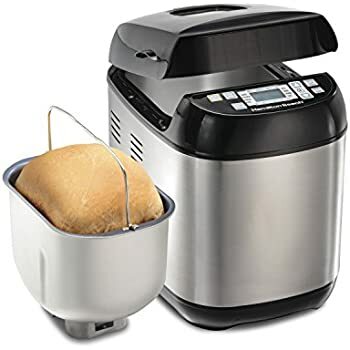 I have never baked bread in my life, but I've always wanted to bake my own bread, and now with this machine I can. It makes it very simple to produce great loaves. I've had it for a week so far and I've baked 3 loaves already and although I'm still in the trial and error phase, all my loaves were great tasting and I was very pleased. 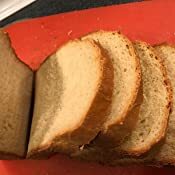 I'm including pictures of the 3 breads I baked - a whole wheat bread with cumin (fragrant and wholesome, a little dense as I used regular yeast instead of bread machine yeast), a white sour cream bread (soft and delicious, like French toast from the Bread Machine Cookbook) and a White buttermilk bread (soft and delicious). I cannot believe how fresh and good the bread tastes and it's great to go out for Holiday shopping and come back to the smell of freshly baked bread. This machine is pretty consistent and I haven't had to do a thing after putting in all the ingredients. - Don't mess with the machine, don't open the lid. 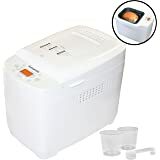 - Mix ingredients on counter in the pan then snap it in the machine, otherwise you can risk dropping some ingredients on the heating element and it will burn. - Measure precisely, don't guess. Use cup and spoon measures. - Don't put too much liquid, or pack the flour in the cup too much, or put in too much yeast. The bread machine cookbook suggested too much yeast for most recipes and one 2 lb loaf just rose up against the glass lid and the top was underbaked. 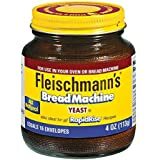 Fleishmann's website suggests just 1/2 tsp of bread machine yeast per cup of flour but the bread machine cookbook suggests a bit more and the bread rises too much! 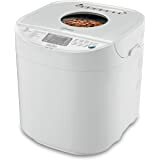 It's best to bake a 1.5 lb loaf in this machine when you're first trying a recipe as it comes out with a nicer crust, and you give some margin in case the dough rises too much! - Once you've got the hang of it, which you will pretty quickly, do experiment. I already tried cumin in one loaf with great success, and look forward to trying all kinds of nuts, seeds, flavorings. 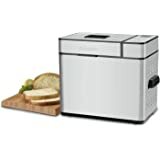 - Keeping bread in a plastic bread box on the counter keeps it fresh, I found a transparent shoe box at the Depot that is doubling perfectly as a bread box. I am so pleased with this machine and looking forward to trying more recipes and creating my own! In the past year and a half, I've had two children diagnosed with Celiac Disease and a husband with a strong gluten sensitivity. 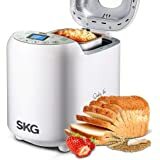 This bread machine has been a LIFE SAVER!! The hubby has taken on the responsibility of making gluten free bread (because a "regular loaf" of GF bread is half the size of a regular loaf of bread and twice as expensive!) 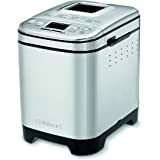 I bought this bread machine in conjunction with The Gluten Free Bread Machine Cookbook, and it has performed beautifully to make us affordable bread for my family! It does have a GF setting, but we actually use the express 1-hour setting with the recipes in the book. My only issue, and believe me, it's a small one, is I can't find where to buy an extra basin! We could knock even more loaves out if we had an extra basin to go with our extra paddle that it comes with! I'm sorry that I can't review this machine on other settings. 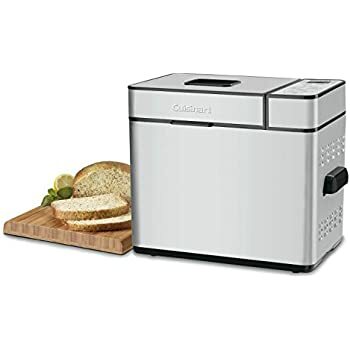 I bought it specifically for the GF setting, which we used once and it worked great, but I'd imagine that the other settings would work super just as well, for folks who don't have to turn their kitchens upside down when a Celiac diagnosis enters their lives!